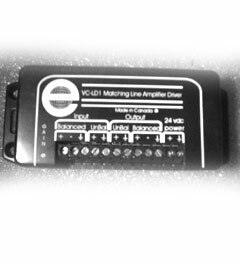 The VC-LD1 gives you the advantages of balanced/unbalanced signal conversion, impedance conversion, level boost or cut. The VC-LD1 allows bridging of any audio line, adjusting the gain, and driving a balanced and an unbalanced line output simultaneously. The circuit design allows the input to accept simultaneously summed balanced and unbalanced signals, of either high or low impedance. Click here for more VC-LD1 specification sheet . 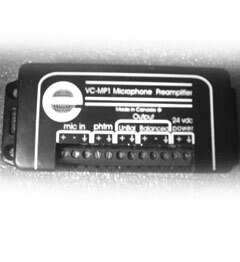 The VC-MP1 gives you the advantages of high quality low noise mic preamp, Hi or Lo impedance mic input conversion to line level, with phantom power and adjustable output level. The VC-MP1 has both a high impedance unbalance output and a Lo impedance balanced output which can be used simultaneously. Click here for more VC-MP1 specification sheet .